Read any manual or ask anyone involved in emergency communications and they will tell you that there is one over-riding principal and that is to keep communications short and to the point. Yet, in recent weeks we have started to hear from some associated with the Eircode letterbox code that 3 random words are now being proposed as the solution for non-letterbox based emergencies in Ireland. This proposal is as irrational and as ill-conceived as the random Eircode itself! I say this, not only as an expert in Navigation but also as a former Communications Officer on Naval ships where, in the event of emergencies and for emergency response, it is an imperative to keep communications brief, precise and to the point. This is not only to ensure easy understanding but also to ensure that emergency channels and those who man them are kept available and open for other emergency communications. Anyone who has ever been involved in public emergency or military tactical response and the communications related to them, will be aware that those involved have a lot of information to communicate or assimilate quickly and confusing that with prolonged communications only adds to the potential for error. When details are being communicated by voice and the link has interference or is overcrowded, then the potential for error is enhanced and that is why if location or destination has to be communicated, it must be done quickly and unambiguously. The suggestion that 3 random words in the form of what3words could be used for the purpose does not stand up to scrutiny by anyone experienced in the area. It is only when you establish that those promoting what3words for the purpose have no related experience whatsoever that you realise once again, as was the case with Eircode, that the idea has never been researched or tested as a fit-for-purpose solution in any way whatsoever. An 8 character, self-checking Loc8 Code has been used in Ireland (North & South) for Public Safety emergency response since 2011. It is robust and can be quickly and unambiguously communicated in the event of an emergency. It has been proven for the purpose and was used for real in Feb 2011 by the Gardaí to position resources for traffic control during the Manx Air Crash in Cork Airport. Since then, its use has been expanded for many different types of emergency response scenarios and has been repeatedly tested and proven by the HSE, NAS, Fire Service & Gardaí for the purpose. Not only has what3words never been tested for such scenarios, it also breaks all the established norms for emergency response procedures. Loc8 Code has also been successfully used on Ringbuoys since 2012 with the support and backing of Irish Water Safety. In the image you will see that if the proposal for what3words was successful a structured & hierarchical 8 character proven code such as QDP-38-RV9 would be replaced in this example by these 3 random words storming.blockages.sensuality! It is pretty obvious to all that these 27 characters will take a lot longer to communicate than Loc8 Code’s 8 and this would become even more problematic if being done on a mobile phone in an area of poor coverage. At least with Loc8 Code if only the first 3 characters were communicated, the emergency services would already know the general area (www.loc8.ie/QDP) and therefore where the nearest Fire/Ambulance/Gardaí/Coastguard resources were located, but with what3words even the first full word would tell them nothing! It would also be naive to suggest that those 3 words would be communicated as words without any need to spell, apply the phonetic alphabet, double-check and clarify. As the words are used out of context, it would be easy for a call taker to misinterpret without having them spelled. Of course, accent may be a significant impairment to the use of what3words also and, taking into account the number of non-English speaking visitors Ireland has and the number of non-national residents in the country, it is conspicuously obvious that language skills and interpretation would become a major issue. Of course, if a visitor decided then to use the what3words app in their own language and pass that on, then 3 completely different words would be generated which could not be translated back to the same English words as appeared on the sign;- thereby causing even more confusion. Take a look at the words again; – storming.blockages.sensuality. Because they are words, you may well think they are easily remembered and, in the event of tending to someone who is unconscious, you may look away believing yourself to have memorised them whilst simultaneously dialling 112/999 and giving CPR. Do it yourself right now; – look away now and repeat the words out loud to yourself. Humans are not used to using words out of context and the tendency is to naturally try to put them into the context of a meaningful sentence. You might therefore remember and pass on to the emergency services something like storm.blocks.sensuality which is in fact located in Canada. See how many attempts it takes for you to repeat the correct words when looking away and then think what it would be like if the pressure was on in a real live emergency. This will be exacerbated by the emergency services’ call taker asking you to spell the words; – extra time, confusion and even more pressure. Those behind the promotion of what3words for this purpose will tell you that they have covered that eventuality so that if you get the code wrong it will be very obviously in the wrong area. But what then? You will have to start all over again; – more time, more confusion and more pressure. This is exactly the same as with Eircode; – make even a small error and you are launched into a prolonged dialogue trying to solve the problem whilst the responders cannot even start moving in the right direction. Loc8 Code is alphanumeric and short, so no human will automatically assume they can remember and repeat it on first encounter in a stressful situation. Instead, a human will focus, read and communicate quickly; – thereby allowing the person doing it to get that over with and move on to tend to the casualty expeditiously. If a mistake is made, Loc8 Code is self-checking so, not only can it identify a common error itself, but so also can implemented applications suggest the likely solution. Loc8 Code was designed with emergency navigation and communications in mind. Eircode was designed only with property database ID’s in mind and what3words was designed with using an app to communicate a location to bands attending gigs in mind. If just using an app for the purpose of finding gigs, then location can be communicated electronically behind the scenes in any format you want, as humans don’t have to handle it. However, the what3words founders needed to develop some unique value-added selling point and so random words were applied; – a catchy gimmick, but with no real world professional application! Think about it; – when younger generations were inventing text speak in order to keep communications short, less time consuming and less expensive, those who dreamt up what3words were doing the exact opposite! That exact opposite has no real communications benefit but it does facilitate the privatisation of addressing; – such that under-developed countries may decide not to develop a proper addressing system at all or in places such as Ireland where the addressing system needs updating, they may not even attempt to do so. Of course, the privatisation of addressing using a random word coding system heralds the impending death knell of address databases such as An Post’s Geodirectory; – something which is ultimately undesirable however imperfect it may be! As well as all the serious human use related issues I raise above, the use of what3words has many other practical drawbacks. In the ringbuoy scenario, think of the extra size of labels required. This would also be a major stumbling block for delivery labels in the logistics sector. Also think of the time it would take to manually enter storming.blockages.sensuality into any form of navigation device in order to find the location. And don’t forget that it is only after all 3 words are correctly spelled and inserted that they represent an actual location. One or two words or any words incorrectly spelled mean nothing at all and certainly not even something close by. However, if you just enter the first 3 characters of a Loc8 Code into the web service (www.loc8.ie), into a Garmin satnav (a free standard feature for Ireland & UK models) or into the Point8 app and you’re already driving along the road in the right direction. Of course, everyone would be aware of the attraction of 3 random words on a public safety sign or ringbuoy to a youngster with suitably coloured marker, ready to impose his/her own randomness on the message and thereby rendering it useless to everyone else. In 2010, Garmin adopted and implemented Loc8 Code because of its proven usefulness and practicality. 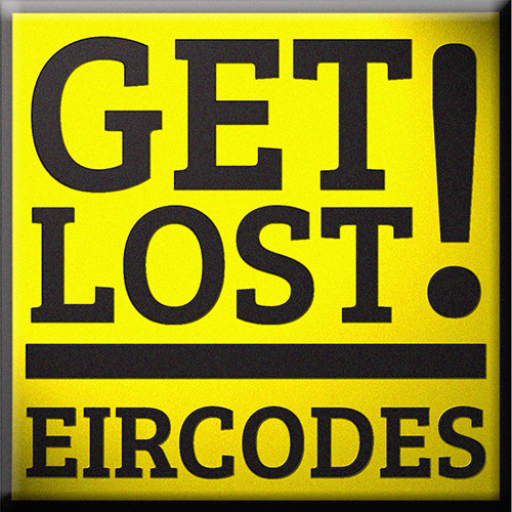 Neither Google nor any SatNav manufacturer has implemented Eircode or what3words because there is no demand for their random and confusing construct; – designed by those who have no knowledge or insight into real world navigation or communications applications, especially those related to public safety response. Both require a database to work and accessing and maintaining that database is an expensive ongoing requirement which would compromise emergency response if for any reason it is not achieved. Loc8 Code works without any database whatsoever and those who got Loc8 Code on their Garmin SatNav in 2010 have never had to update it for the hundreds of thousands of codes generated since. It is for the same reason that the Point8 app needs no coverage or phone credit in order to give full useful and reliable functionality anywhere across the whole Island of Ireland. In June 2015, at an Oireachtas Committee hearing to which I was invited because of my GPS and navigation qualifications and expertise, I predicted that because of the major failings in the design of Eircode, there might be an attempt by those involved in it to introduce other codes to help fix those failings. I warned that such efforts must not be undertaken by those involved in Eircode and emphasised the potential for confusion amongst the general public if it were let happen. I separately also warned then Minister for Defence Simon Coveney of the related major problems that such would cause for him as a member of the National Emergency Response Coordination Committee. As predicted, those behind Eircode are now promoting 2 new coding systems to fix Eircode and, to be honest; I did not foresee the what3words proposal which would exceed all my expectations in terms of randomness and confusion if adopted. Unfortunately, the decision makers i.e. successive Ministers For Communication and their Departmental Officials, have their own agenda to help cover up the Eircode failure and the €50,000,000 of public money wasted on it, so they are happy to go along with anything that appears to take the pressure off them. However, those that are recommending and promoting what3words are the same people who helped to waste those taxpayers’ millions on Eircode randomness without any testing or proving and in direct contradiction to the recommendations of all consultant and board reports relating to the design of a postcode for Ireland. So they cannot be trusted on the matter, and Minister Coveney TD, who now has an even more senior responsibility for Emergency Coordination in Ireland through his new Ministry, must stand up and be counted and recognise that someone in authority like himself must take the responsibility for dictating the standards that have to be applied to the way forward in the interest of public safety. Only today, we hear of a woman drowning and responders attending to a location wrongly identified as “Black Head”. Minister Coveney must realise that words on their own are open to different perceptions and interpretations. Words, especially random words used out of context, can cause confusion and that confusion can cost lives. Neither the words of those behind the Eircode design nor the random words that they want to apply in order to hide their failings are enough for the safety of the Irish public. Those in public office and those who head up any aspect of the emergency services have a duty of care to ensure that only proven and fit-for-purpose solutions are implemented so that the safety of those who inhabit or visit our island is enhanced rather than undermined. what3words may be ok for bands trying to find gigs to entertain the public but not at all for helping to save the lives of that same public.